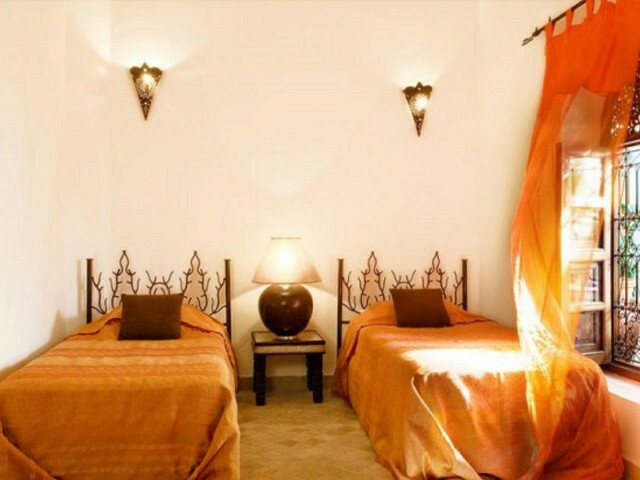 In the District of the Kasbah, the Riad Mandalay is located just next to the Saadian tombs and the El Badi Palace, Bahia Palace.You can reach the Jemaa el Fna square only in 7 min, through the narrow streets of the Medina. 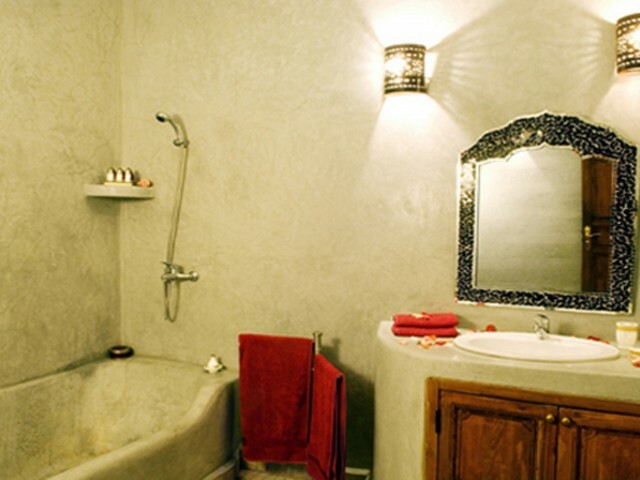 Riad Mandalay is a majestic Moroccan guest house renovated in the authentic. 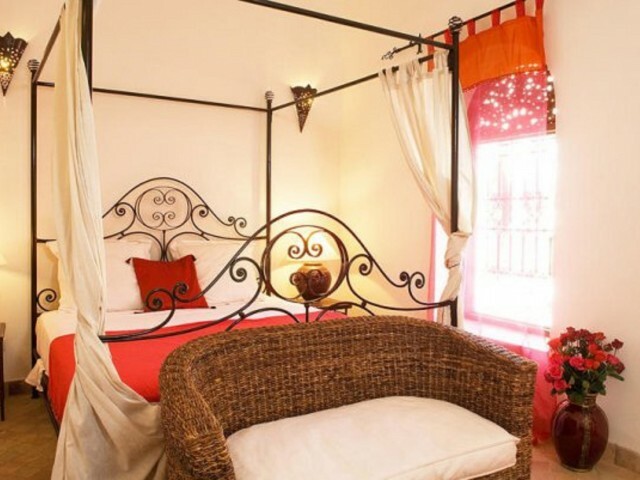 Nestled in the heart of the Medina, the Riad offers a warm welcome and beneficial. It is reign an atmosphere of calm and voluptuousness. The 6 rooms are distributed around the main courtyard, a lounge with a fireplace and a room to eat. It is an oasis of freshness, thanks to the presence of large green plants and its swimming pool large enough for a (rare in a Riad) swim. 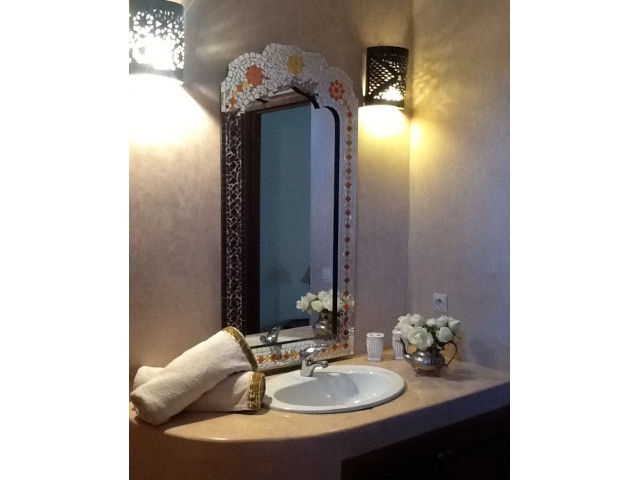 The Riad kitchen, will come with aromas of spices that you open the appetite. 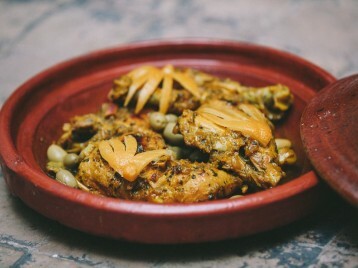 You will discover Moroccan authentic dishes that are the pride and rightly so, staff. Colorful tajines, couscous you will be served in the privacy or the patio, or on the terrace. 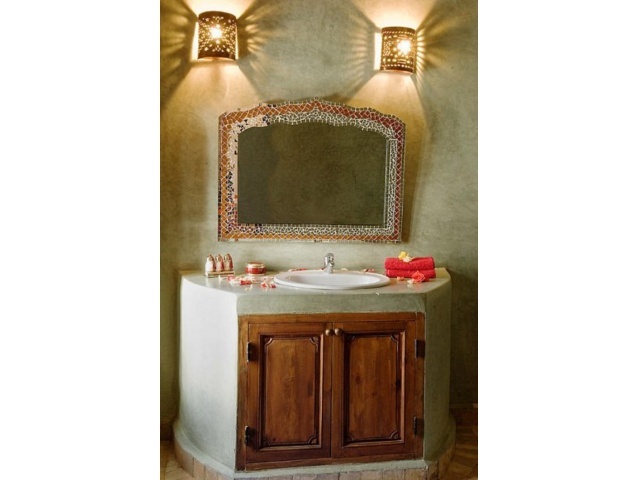 You can enjoy Moroccan pastries and tea with Mint, small notes delicacies of all moments. Riad Mandalay also has a space dedicated to the? 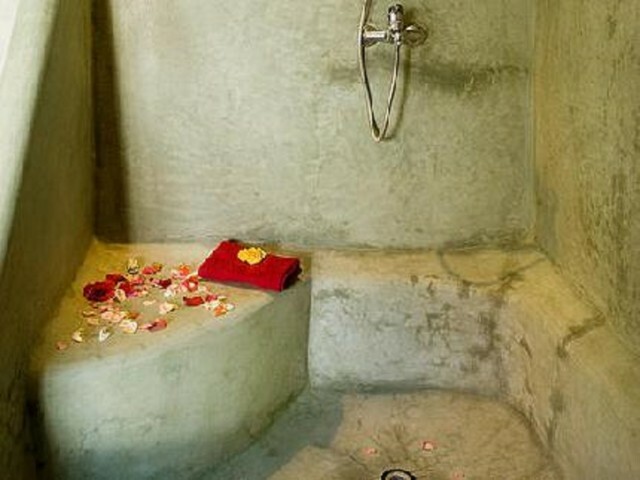 Spa and wellness\, designed in the purest Moroccan tradition. 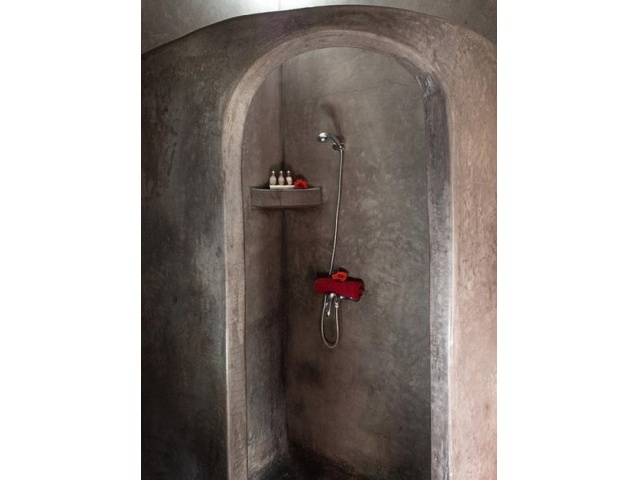 Hammam Beldi, massages, body and facial treatments are an invitation to travel. L?Riad Mandalay team will be always present to satisfy your needs; you propose or book an excursion, restaurant, etc?, make you discover the treasures of the red city, Marrakech. 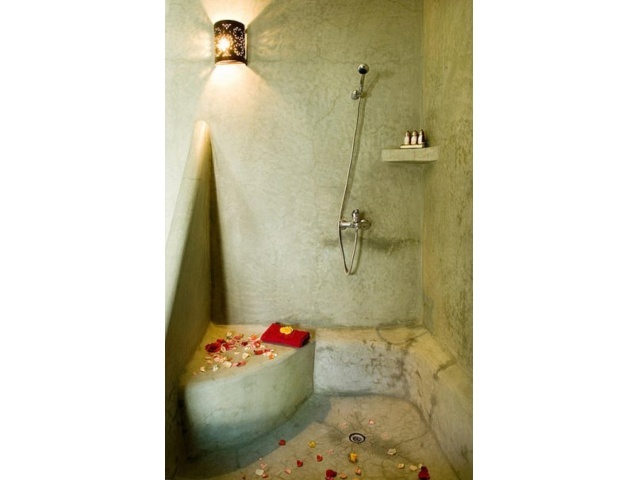 Of 25 m2 room with 2 single beds (90) with a lounge opening onto the patio and a private bathroom in tadelakt (shower). Reversible air conditioning. Free Wi-Fi. Breakfast included. 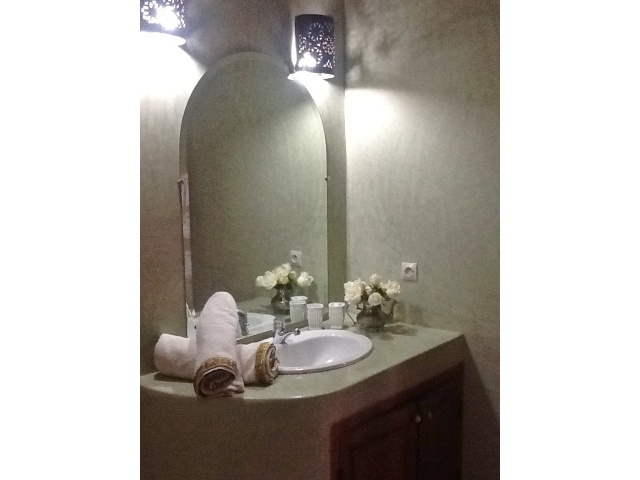 Of 20 m2 room with 1 double bed (160) with a seating area and a private bathroom in tadelakt (shower). Reversible air conditioning. Free Wi-Fi. Breakfast included. 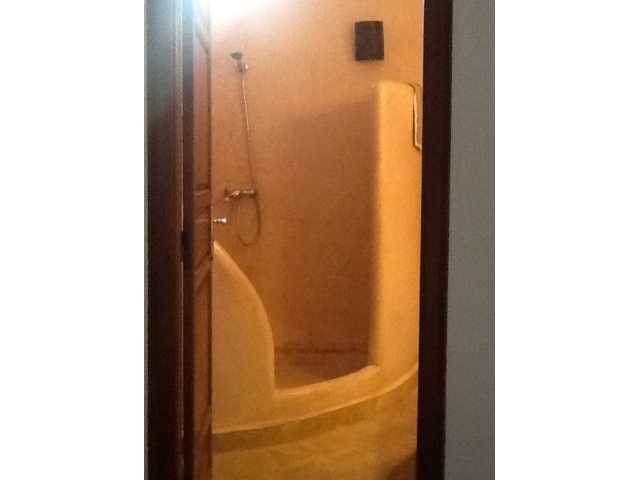 25 m2 room with a large bed (160) with a small seating area and a private bathroom in tadelakt (shower). Reversible air conditioning. Free Wi-Fi. Breakfast included. 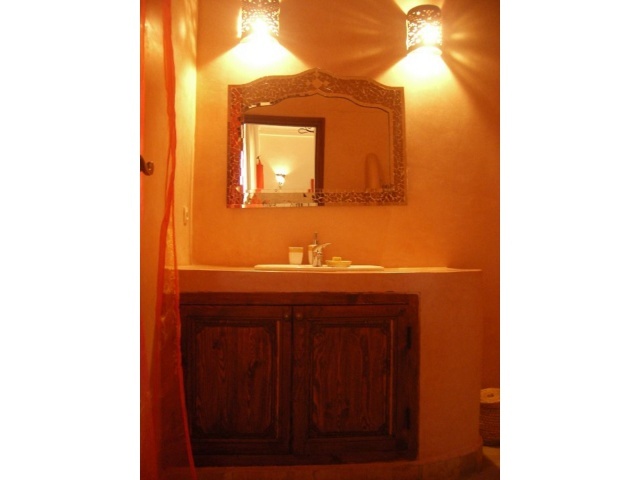 2 single beds (90) of 20 m2 room Moroccan handmade furniture and a private bathroom in tadelakt (shower). Reversible air conditioning. Free Wi-Fi. Breakfast included. 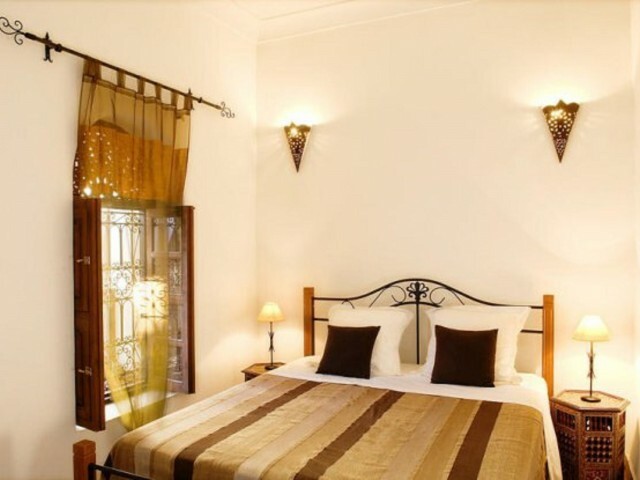 The \Palace\ rooms two adjoining rooms (Palais Bahia and El Badi Palace) with connecting door, allowing the rental for a family or friends. Of 30 m2 room with 1 bed (160) canopy with a sitting area, and a large private bathroom in tadelakt. Reversible air conditioning. Free Wi-Fi. Breakfast included. This very spacious suite of 35 m2 includes 1 large bed canopy (160) with a sitting area, a sofa bed and a fireplace. 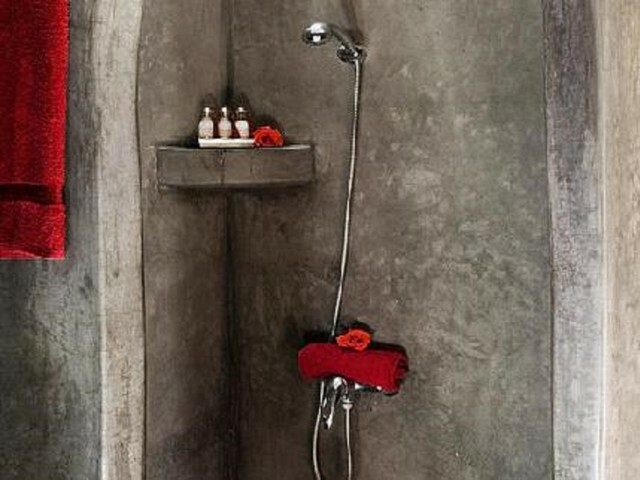 bathroom private tadelakt (shower). Reversible air conditioning. Free Wi-Fi. Breakfast included. 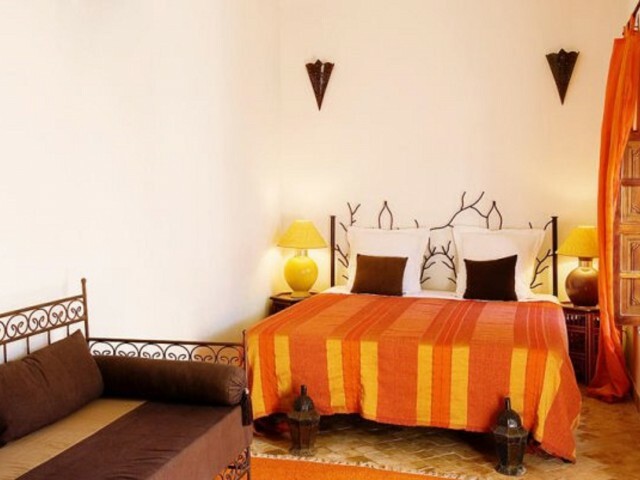 The suite Palace includes two suites adjoining (Palais Bahia and El Badi Palace) with connecting door, allowing the rental for a family or friends. As we work with fresh products from the market, thank you to order the day before or before 10 h in the morning.